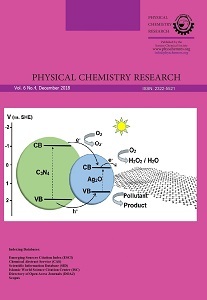 Reaction behaviors and kinetics of catalytic oxidation of toluene with different feed flows over Pt/Zr(x)-HMS catalysts with Si/Zr ratio equal to 5, 10, 20 and 35 were investigated over a wide temperature range (200 – 500 oC). Results show that Pt/Zr(x)-HMS performs more easily toluene oxidation. The kinetic data were fitted by the Power-law and Mars–van Krevelen kinetic models. 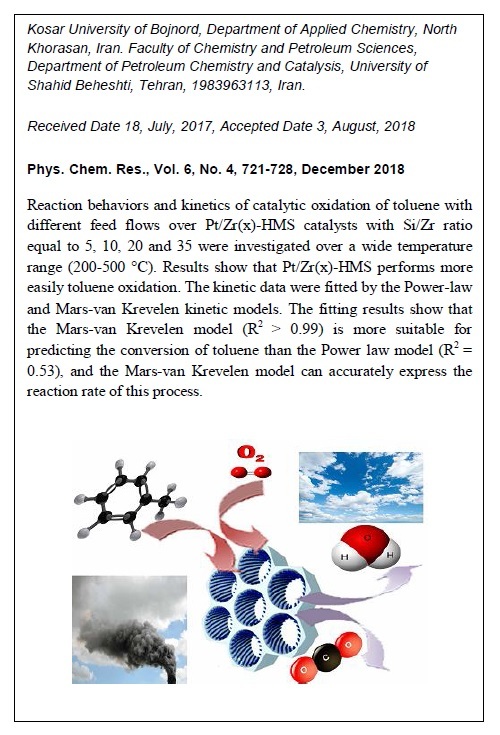 The fitting results show that the Mars–van Krevelen model (R2 > 0.99) is more suitable for predicting the conversion of toluene than the Power law model (R2 = 0.53), and the Mars–van Krevelen model can accurately express the reaction rate of this process.